The last thing Obama needs to do in his “pivot” to Asia is try to “contain” China. Just when you thought it was safe to go back into the water—or, in the case of the East China Sea, fly over the water—a new conflict is brewing in Asia that pits the United States against China. Vice President Joe Biden is packing his bags for a visit to the region, including China and Japan, but if he thought he’d be able to talk up the Transpacific Partnership, he’d better think again. If this is part of the “pivot” to Asia, President Obama ought to pivot right back to the Middle East, where he is having some diplomatic successes. So far, in regard to the East China Sea dispute, U.S. policy is all about shows of force. The ministry also issued the Aircraft Identification Rules for the East China Sea Air Defense Identification Zone, which states aircraft flying in the zone must abide by these rules and provide identification, including flight plans, radio contact, transponders and logos. Aircraft flying in the East China Sea Air Defense Identification Zone should follow the instructions of the administrative organ of the East China Sea Air Defense Identification Zone or the unit authorized by the organ. China’s armed forces will adopt defensive emergency measures to respond to aircraft that do not cooperate in the identification or refuse to follow the instructions. So, of course, the United States promptly said: “No way.” The Pentagon sent pair of B-52 bombers cruising through the new ADIZ, without identifying themselves. Secretary of Defense Chuck Hagel said the flights were routine. But they were not routine at all, and China reacted as expected, though rather quietly. 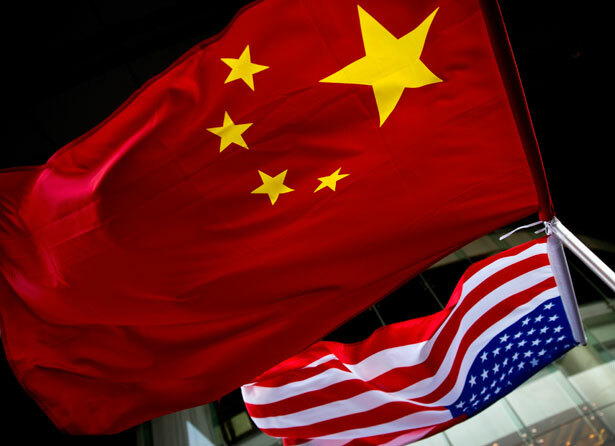 “We will make corresponding responses according to different situations and how big the threat is,” a Chinese defense official told the New York Times. The Obama administration needs to make daily shows of force, flying fighters, more bombers, cargo and reconnaissance planes ostentatiously through the skies that China now claims. It should invite all nations in Asia to join with the U.S. Air Force and U.S. Navy in regular aerial transits, simply for the right of it. U.S. planes should be on alert to come to the aid of any planes, military or civilian, that are threatened by China. And President Barack Obama, or Secretary of Defense Chuck Hagel, should publicly urge all Asian nations to reject China’s demands and announce that any of them will be protected by U.S. fighter jets. If the White House shrinks from taking these steps, the Chinese will have won a victory that will change the perception of the balance of power in Asia. Good grief! Daily shows of force? And by the way, Michael Austin, the balance of power in Asia is already shifting, and not in the favor of the United States. There will be ebbs and flows, as China begins to assert itself politically and militarily, catching up to its economic self-assertion that has already had an enormous effect throughout the region. But the last thing the United States ought to do is try to contain China militarily. Indeed, China is not likely to try to enforce the ADIZ militarily. Instead, Beijing is just laying down markers, in the East China Sea, the South China Sea and elsewhere, letting other countries know that it’s not your uncle’s China anymore—especially if your uncle is Uncle Sam. A helpful bulletin from the Foreign Policy Initiative, the neocon outfit founded by Bill Kristol and his comrades, tries to paint these events—along with the China-Japan dispute over the islands that Japan calls the Senkaku islands and China calls the Diaoyu islands—as some great test of America’s manhood, that is, as a “ critical test of U.S. credibility in the face of Beijing’s expansionist agenda throughout the East China Sea and the South China Sea.” But it’s way less than that, and hopefully Biden will keep his cool during talks in Tokyo and Beijing. QUESTION: As we know that—from 1970s, we know that Japan has extended its Air Defense Identification Zone several times, and there is a report that Japan extends ADIZ into Taiwan space. Does the U.S. Government worry about this issue? Are you going to communicate it with Japan regarding this? MS. PSAKI: I don’t have anything more for you on that, unfortunately. She will get right back to you on that. Read more of Bob Dreyfuss's writing on U.S. and China's foreign policy debacle here.